There are times when people, actions and events come together in such a way that we are simply forced to stop, step back, take stock and have a good, long, hard look at ourselves, at what we’ve become and the direction in which our lives are going. My Indigo, the new solo project from Sharon den Adel, exists precisely because of one of these life moments. Years of extensive touring fronting Within Temptation gradually and imperceptibly took a toll with personal issues being ignored and an impending sense of crisis gathering momentum. When the Hydra tour finished at the end of December 2016, the music simply stopped. The moment had arrived. Two years away from the limelight, a journey she refers to as a time of ‘retreat, healing and exploration’, the desire as well as the inspiration to write is returning. Yet the direction in which she now finds herself being taken is not the heavy anthemic drive so characteristic of Within Temptation but a completely different kind of impetus instead. 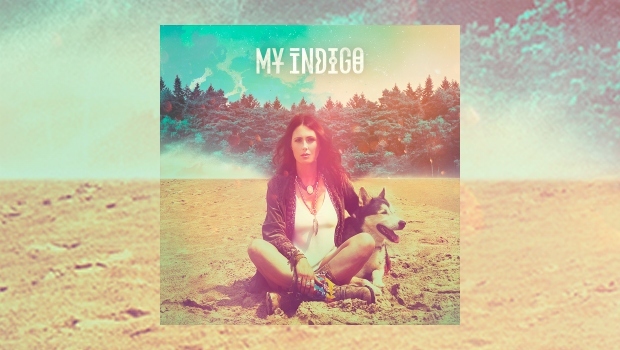 First and foremost, My Indigo is an aching, raw and intensely emotional autobiography of the path she is travelling. It is unashamedly forthright in wearing a deeply poetic lyrical intimacy on its sleeve for all to see. Each song embodies a beautiful, if at times almost painful, openness and honesty in their outpouring of personal vulnerability and introspective reflection. Ignore these lyrics at your peril; they are the intensely expressive heart which makes My Indigo such a refreshing and engaging album. Yet the lyrics themselves are the creative catalyst for the music which embraces, absorbs and then lifts them high in shout out loud dramatic crests of dynamic, passionate melodies. The sublime vocal arrangements are both eloquent and elegant, the electro club style beat forceful in delivering a perfectly synchronised marriage of music and emotion which is vivid, striking and without fail, moving. If ignoring the lyrics is a mistake, then writing this album off as being ‘nothing more’ than some kind of club-oriented pleasant electro-pop would be an equally disastrous disservice. There is immense depth of soul and an assured spirit of imagination and invention which gently but urgently demands your attention. 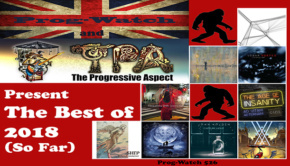 The progressive spirit certainly is alive, well and burning oh so brightly in music which isn’t afraid to explore its own momentum. There is an essential, raw, honest throbbing tribal-esque beat giving the music a compelling strength, interwoven with melodies which are delicate, poignant, arresting. The tour de force which carries it all off is Sharon’s voice itself: irresistible in its purity, it toys with the listener with a playful sincerity as it delivers a heartrending payload which is personal, touching and often challenging. Yet there is a genuine sense of hope and movement pervading the album. Whilst it speaks of the difficult ‘lessons learned’ the affirmation is that ‘love lives in a world of hurt’. Whilst life can feel overwhelming and we are surrounded by darkness, nevertheless love still shines, hope survives and through it all we carry on, we come to terms and we move forward. It’s a difficult balance to maintain but My Indigo is one of those rare albums where you find yourself willingly caught up and happily swept along as you feel every moment and every episode of the journey on which you are being taken but nevertheless end up celebrating the empathy, the warmth and the shared humanity enabled by the music. When I first heard it, my initial reaction was: “crikey, that’s unexpected – what’s going on here?” Now it’s a regular on my player, along with the knowing smile it brings each time I hear it.